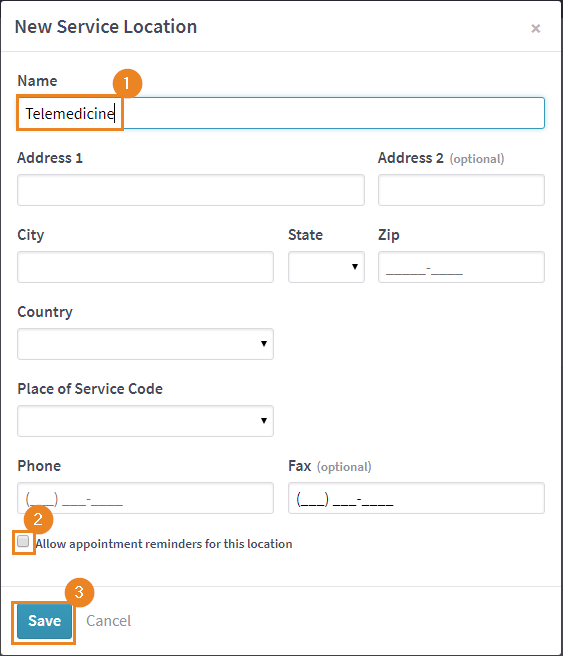 Creating a telemedicine service location in Kareo can be done in 4 easy-to-follow steps! 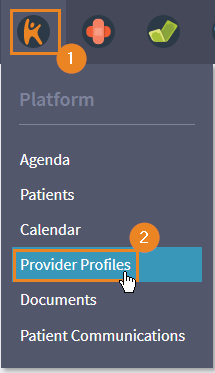 Click the Kareo logo in the top left, then click "Provider Profiles". Click "Service Locations", then "New Service Location". Enter the name exactly as Telemedicine and uncheck the "Allow appointment reminders for this location" box. Fill out the rest of the details with your practice information. Click "Save" when completed. Tip: The Chiron Health platform will take care of appointment reminders for telemedicine visits. If you leave the box checked to allow appointment reminders, patients may get duplicate reminders.